Today, I am featuring Jon Scieszka, an author who started his career as a teacher before finding success with his own unique sense of humor. He has written a wide range of books, from the Trucktown preschool series to multiple fractured fairy tales. You probably know him best for his frequent collaborations with illustrator Lane Smith, with whom he worked on The True Story of the Three Little Pigs, The Stinky Cheese Man and Other Fairly Stupid Tales, The Time Warp Trio Series, Science Verse, Squids Will Be Squids, Cowboy and Octopus, and others. He has won a long list of awards for his books, including the Caldecott Honor for The Stinky Cheese Man, the Golden Duck Award for Excellence in Children’s Science Fiction Literature (Science Verse), and multiple citations by the ALA, New York Times, and National Education Association. Mr. Scieszka previously served as as the US National Ambassador for Young People’s Literature, and is dedicated to increasing literacy and making reading fun. All of the above books have so much humor and interesting text packed into them. 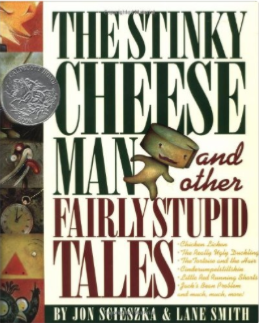 We own the Stinky Cheese Man and have read it so many times the pages are worn. 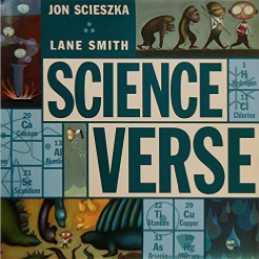 I will soon be buying Science Verse, as it has been read no less that a dozen times since we brought it home from the library. Science Verse not only introduces scientific concepts, but because the text is based on classic poems or songs, it has also generates an interest in the original material. Way to get kids interested in science, literature, and the arts all at once! Some other books from this author that we have not yet read: The Time Warp Trio Series; the Frank Einstein series; Honestly, Red Riding Hood was Rotten! The Story of Red Riding Hood as Told by The Wolf; or the Guys Read series. We didn’t care for the Trucktown series, but once we discovered it my son was too old for it. 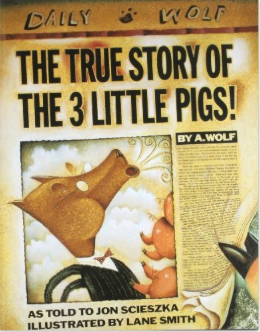 What is your favorite Jon Scieszka book? Please share in the comments! 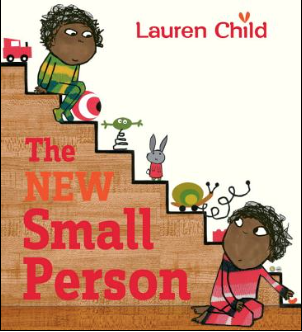 Now that school is back in full swing, I am looking back on the summer reading challenge we gave ourselves and reviewing how we did. Aidan and I challenged ourselves to read 20 books over the summer, and we had shared our list of planned books with you. So how did we do? For quantity, Aidan completed his 20 books and a few more. 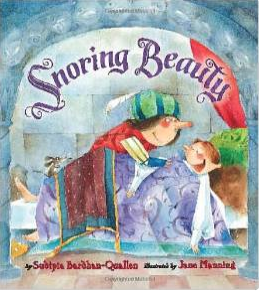 For me, I read closer to 10 novels (several over 700 pages each), but over 50 picture books with Elizabeth. We met our number goal, but how was the quality? Even though we didn’t necessarily stick to the list we had planned (Aidan in particular), overall we read good quality books. Aidan began his summer devouring Calvin and Hobbes collections (which is technically reading, but not what I had in mind), and then reading some good novels including Harry Potter and the Prisoner of Azkaban. He re-read some favorites including some Diary of a Wimpy Kid books, sprinkled in with a bunch of graphic novels from our library. He finished up the summer with a keen interest in non-fiction books about animals and geography (go figure). We are still planning to finish Shiloh together, which we got about halfway through. For all of us, we read some good books and some not so good books. That is to be expected. I will still encourage Aidan to supplement his graphic novel/comics interests with meatier novels. However, the most important thing I saw this summer was my kids reading. Not “Mom made me sit down and be quiet” reading. Book-loving reading – fully engrossed, bring a book everywhere, “Mom, can I bring the book in the store?” kind of reading. Perhaps that is the best measure of our summer reading challenge, which I declare a success. What did you read this summer? Any good finds?